I'm ready to sell! MCN Group, Inc is here to take you through the process! MCN Group, Inc is here to take you through the process! We’ll start by gathering information on the current real estate market in your area. We’ll review this with you to understand what’s selling, what’s not selling and what is still for sale. Then we will work with you to set the selling price. We do this by comparing what you would like out of your property, properties that have sold, those that are still for sale along with those that were removed from the selling market. Once the selling price and details are done we’ll put a marketing plan in place that will reach the largest group of qualified buyers for your property. These may include multiple forms of print media as well as electronic media. We will keep you informed on the progress of your property. How many are looking, who’s shown interest and as soon as an offer is received we’ll get it to you for review. We have guides to help you prepare and understand the process (check out our Sellers Guide). You won’t be in this alone, we’ll take each step with you! 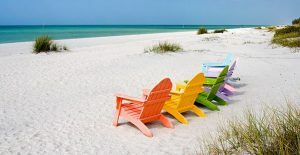 If you’ve said “I’m ready to sell!”, relax in the sand and sun while we work to sell your home!